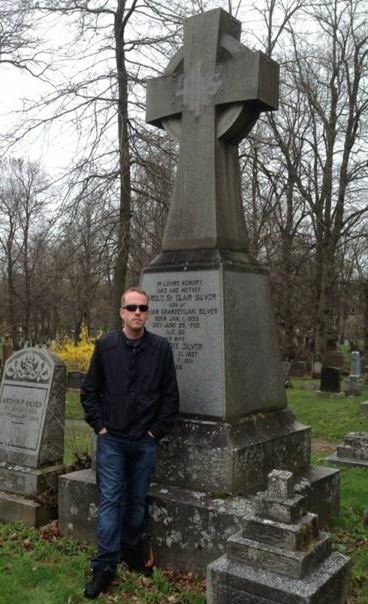 This photo is from a Cemetery in Halifax. Not the famous one in Fairview which is the burial ground for many of the victims of the Titanic. This one is Camp Hill, near the famous Halifax Public Gardens. The remains of a true writing inspiration lies a few dozen yards away from where I am standing. Joseph Howe. He was a man who took risks for the right reasons. Initially an anti-confederate, he ultimately worked to do things in the best interests of Nova Scotia and ultimately evolved to a life of pro-confederate service to his profession and people. As a risk-taker, Howe accepted a cabinet post in one of the governments of Sir John A. MacDonald on the promise of better terms for Nova Scotia. Whether he actually achieved this goal still is debatable well over a century later. One thing that Joseph Howe’s career can be taught to all writers is the idea that you must take risks. In this context, I continue to work through some short satirical pieces which I started to write while in between edits for “. Inspired by the humour collections of Woody Allen gave me a bit of encouragement to pen characters and stories that I have always wanted to write. Writing anything is a risk. Writing satirical material can be even more of a risk. Where the goal is to make the reader laugh, you want to accomplish that with the majority of readers. One also has to accept that not everyone will understand the intent or influence behind the satire. This is fine all in itself. In many satirical pieces I have read, I may find areas where for me the humour falls flat while learning some valuable lessons about the craft. It gets to a point where I find myself breaking down passages with the intention of seeing if perhaps there is something there that I can find funny on the second or third read-around. Occasionally it has happened. In instances where the words get no chuckle out of me, I tell myself at least I am reading instead of watching television. A few minutes ago before I began to write this, I sent out a call on my Facebook Account to friends, colleagues and family members who might want to test-drive a couple of pieces that I have worked on. For me this is taking a big risk. Because I thrive on all levels of feedback, I thought this would be a great way to get a few people into the mix and have them check out some material to see if it is something they might enjoy. Putting a book out there has been a rewarding risk in so many ways. So I suppose this is another great evolution in what I want to accomplish in the business. So if there is a point to this, it is perhaps that you consider going back and re-visiting some old ideas that you were perhaps afraid to put words to and see what happens. If you work strictly in freelance copy for clients, maybe you have a great idea to spruce up some content for them on a web page, or in a brochure that they have. Take chances. Ultimately, you learn from them. Posted in Notes from the Frogpond.Tagged book, Camp Hill, Canadian, freelance writing, Halifax, Joseph Howe, Nova Scotia, taking risks, television, The New Yorker, throwing dice, Woody Allen, writing.